Age Limit : Refer Official Notification for More Details. Educational Qualification : All Candidates should have done Graduation Degree / Post Graduation Degree In Relevant Disciplines or its equivalent qualification from a recognized university.Refer Official Notification for More Details. Application Fee : For General/OBC Candidates to pay Rs. 50/- & For All Other Candidates (PH/ST/SC) Application Fee is - Nil. 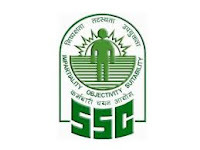 How To Apply : All Eligible Candidates Can Download application Form through official website http://sscner.org.in. After Filling The application form, candidate must send hard copy of application along with relevant documents to the following Address before or on 21.09.2015.